Officials in the southern Okanagan are bracing for "biblical" flooding as a higher-than-usual snowpack begins to melt, prompting residents to flee from their homes. Officials in British Columbia's southern Okanagan are bracing for "biblical" flooding as a higher-than-usual snowpack begins to melt, prompting residents to flee from their homes. 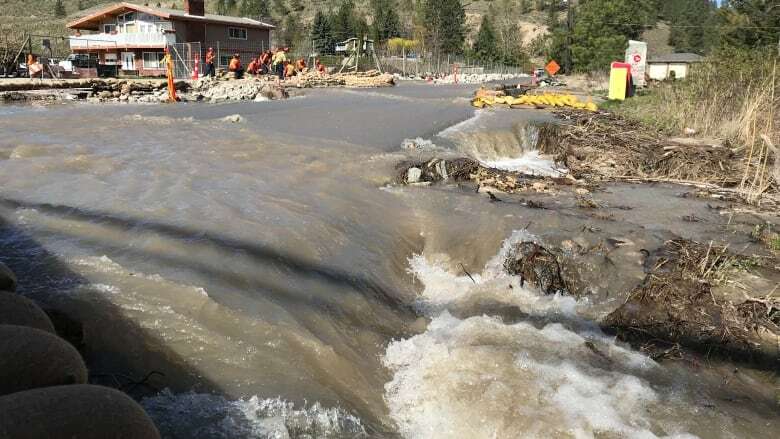 Flooding has already caused the Regional District of Okanagan-Similkameen to issue an evacuation order for 12 properties north of Oliver, B.C., on Saturday. "It's a mess," said Terry Schafer, a board member with the district, standing on Sportsman Bowl Road as water rushed by. Schafer said the road was completely washed out Saturday, and residents wouldn't be able to return until the road is rebuilt. 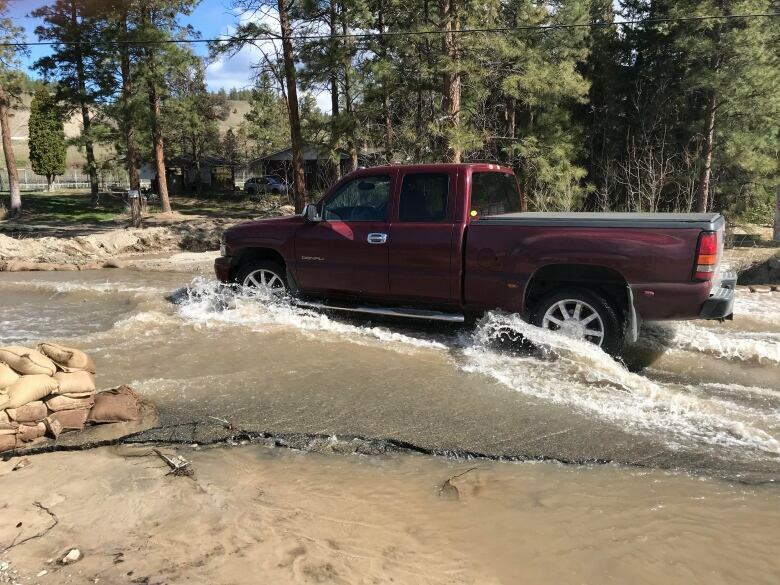 He said the area is likely to lose more roads once the bulk of the freshet — river flooding due to heavy rain or melted snow — hits at full force. At last count, the snowpack in the region was at about 151 per cent above normal, Schafer said, and that was before the two latest snowfalls up in the nearby mountains. "If we get a few really hot days, that's going to come down really fast," he said. "In my opinion it's going to be biblical." Earlier in the day, 33 properties in the same neighbourhood were evacuated, but Schafer said that pumping from a nearby dam reduced the overflow by about half. Still, he encouraged all residents who could be affected by flooding to do everything they could to prevent it, including sandbagging their homes. An emergency centre has been set up at the Oliver Legion at 6417 Main Street. 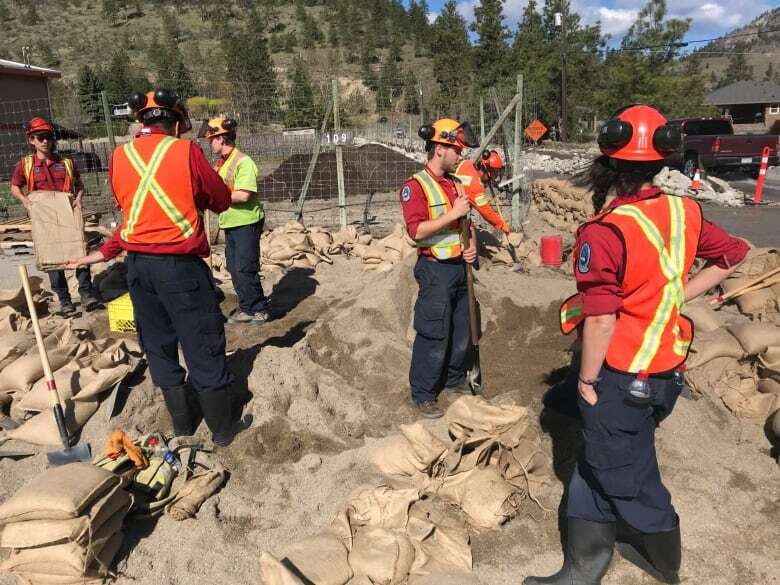 Also on Saturday, an evacuation order was rescinded for about 150 properties along Osoyoos Lake, which had been threatened by a potential landslide on Inkaneep Creek. Homes south of Water Dog Lake were cleared out late Friday, according to Fire Chief Bob Graham. He said logging in the area may have contributed to the unstable ground that's now threatening homes and cottages in the northeast corner of Osoyoos Lake. Graham said the unstable ground is at risk of sliding as the snow melts.